Posted April 16th, 2017 by Mike Boyes & filed under Assessment: Intellectual-Cognitive Measures, Attitude Formation Change, Industrial Organizational Psychlology, Industrial Organizational Psychology, Language-Thought, Personality, Social Psychology. Description: Imagine you are going to hire someone to work for you. What information would you want to gather before making a hiring decision? Would you want to interview the applicants who looked good on paper? How much weight would the interview have in your decision about who to hire? How about if you were asked to predict the GPA of a number of students in the upcoming term and you were offered their GPA from last term, their schedule and an opportunity (or not) to interview them? How much do you think the information you could gather from an interview, if you were allowed to conduct one, increase the accuracy of your GPA predictions? Well the title of the article linked below suggests particular answers to these questions. Give it a read and see if the results of the research it discusses surprises you. 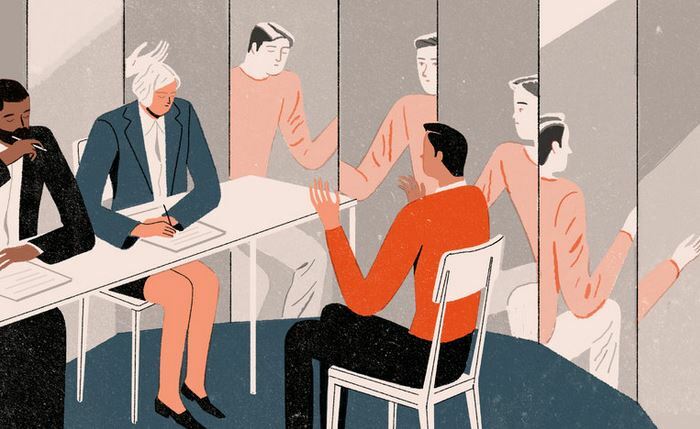 Source: The Utter Uselessness of Job Interviews, Jason Dana, Gray Matter, New York Times. So did you expect that the answer to the question as to whether interviews lead to better hiring decision or more accurate predictions be “no, they usually make things worse”? Even when told that the best predictor of upcoming GPA is past GPA students in the study discussed wanted an interview and had faith that they would improve their predictions if they used the interview information. The bottom line seems to consistently be that we (humans) are not particularly good at making detailed decisions about others based on a short “chat”. Much of what comes up in interviews is not relevant to the job or to the prediction being considered. The solution…? Well in some situations dispensing entirely with the interview is the best course of action. In others Industrial Organizational psychologists tell us that the “interview time” should be used to have job candidates deal with directly job-relevant situations or to ensure that each candidate is asked exactly the same questions. The final advice is the most important…. “be humble about the likelihood that out interview based impressions actually tell us much that will be useful in making hiring decisions”. How well do interviews work in assisting us to make good hiring or predictive decisions? What sort of information should we use when hiring someone? In what ways could interview time be managed that would actually improve our hiring decisions?